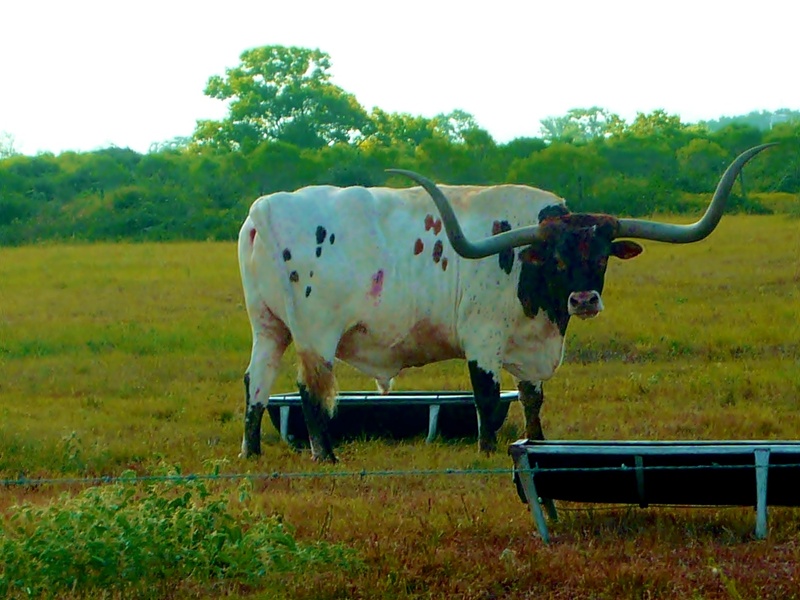 It is not very easy to be vegetarian in our traditional part of Texas. Not only do we rear cattle but the original settlers were mostly German. 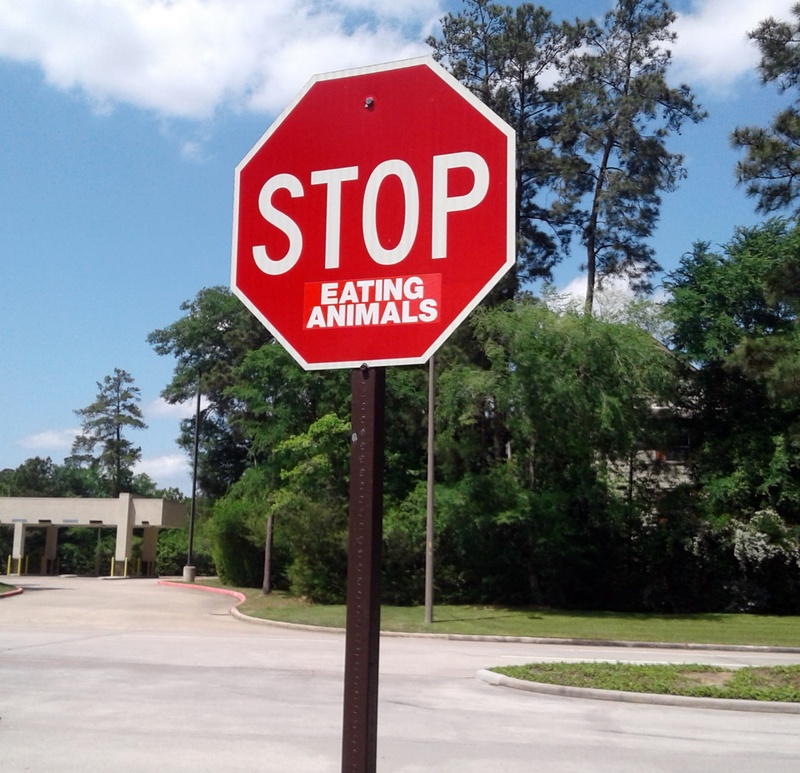 I laughed out loud when I saw this Stop sign a few hundred yards from my house. Graffiti usually annoys me but this was clever and funny! Although more flexi than veggie, I rarely cook meat and many of the local restaurants balk at me asking for the steak flatbread, for example, with no steak. My weakness is real ham…. Every Saturday I have a ham and cheese Arepa at our local brunch place – they smoke their own ham. The Germans have been joined by a very diverse group of immigrants including many from Latin America thus the Arepa – maize based flatbread. We live in a very tight series of cul-de-sacs with traffic circles. To stop trucks and school buses churning up the corner, our HOA has put cobbles and more large boulders to deter them. 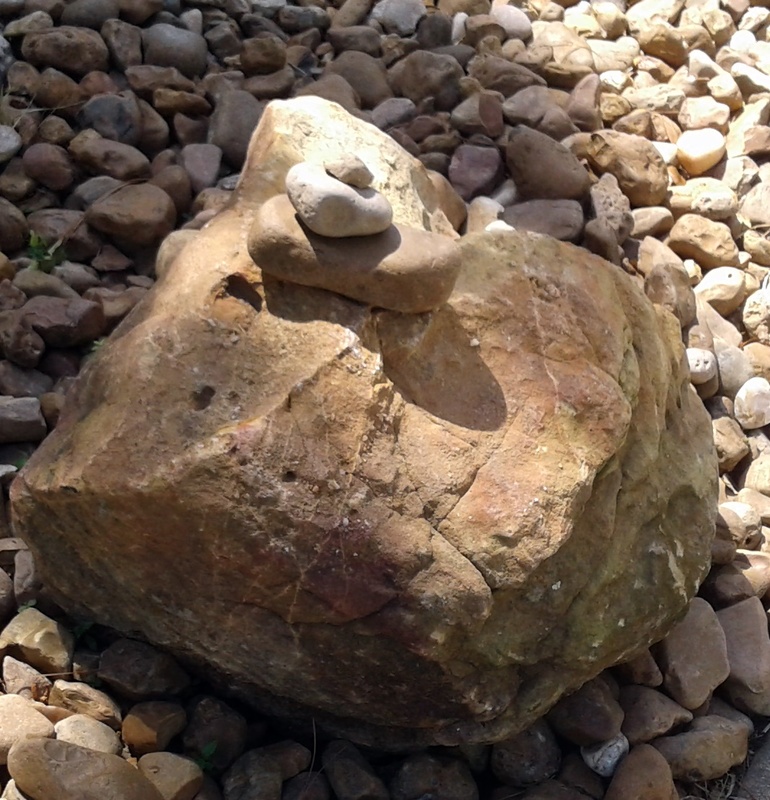 Do you think the vegetarian created this zen stacked rock cairn? Your headline made me laugh out loud. The sign is hilarious. It was a bit of literary license…Austin is full of yoga obsessed vegetarians. This article is so good it was awesome reading it thanks for posting this article. You are most welcome, Dave! Love that Stop sign. I couldn’t describe myself as a vegetarian, but like you I eat very little meat. I decided to go vegan for Lent, just to see if I could. It was surprisingly easy. I thought it would be hard to give up dairy products, but discovered I really like soy milk! And luckily for me there are several places specialising in vegan food handy to where I live, so I didn’t have to give up on tasty takeaways. Soy makes my tummy upset and lets not talk about the farting… I now eat from a very small group of foods but am perfectly happy with a plate of carrots for dinner. Love the sign !!! 🙂 That is excellent !!! Forgot to mention Chic-fa-Lay would applaud you for this post! Up until 2005, there were at least two vegetarians 🙂 We moved up North to take care of my folks, and if we can manage, we’ll be moving back to TX at some point. I’ve am not always vegetarian, but meat doesn’t agree with my gastro system. Veggies, almond milk, and the such, work perfectly for me. I need to find some new recipes, especially for cold weather fare. There are many more vegan/vegetarian restaurants than there used to be, especially in the big cities. I am perfectly happy with a baked potato! That’s good to know! We had a fabulous SuperSalad (sp?) in our neighborhood and I can always get something in an Italian restaurant to suit my needs. Glad to hear they are spreading through the state, though. I’ve been looking for some good rice and beans recipes. Any suggestions? I can’t eat any bell peppers as they are nightshades and create more pain than my arthritis can handle, thus, potatoes, much as I love them as well, are out of the question. I try to eat as little meat as possible, but I do have an occasional craving for a good roast. But, Spring has sprung and it’s only a matter of time before the veggies in the garden sate my appetite. Yup! All organic, too. Baby bells, cherry tomatoes, cucumbers, corn, and this year I’ll be growing beets for the first time. That’s not a good idea…LOL! “There’s a vegan down in Texas/I’m goin’ for to see/She don’t eat beef or chili/Or chicken fricasee.” Sorry not to have stopped in for too long. Congrats on the radical new shade. LOL! Nowadays, its not really that radical. If I was younger I would go vivid blue or somesuch.